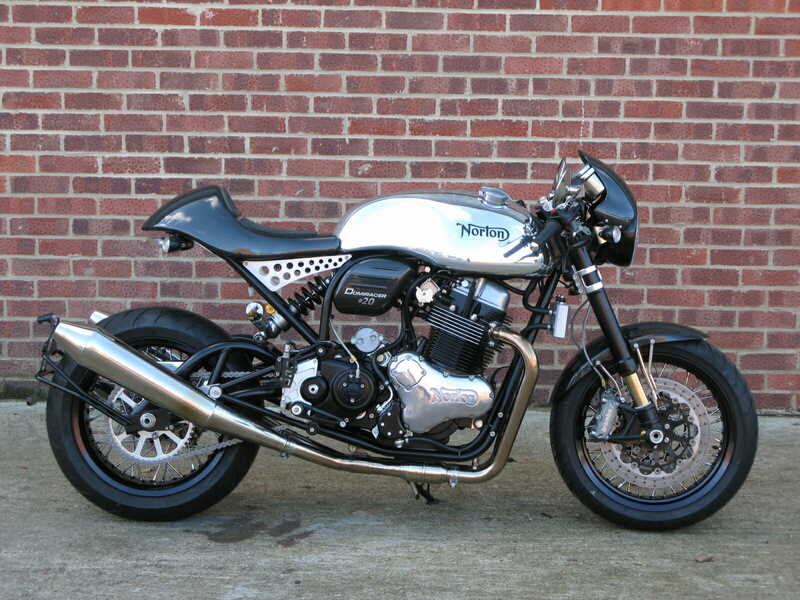 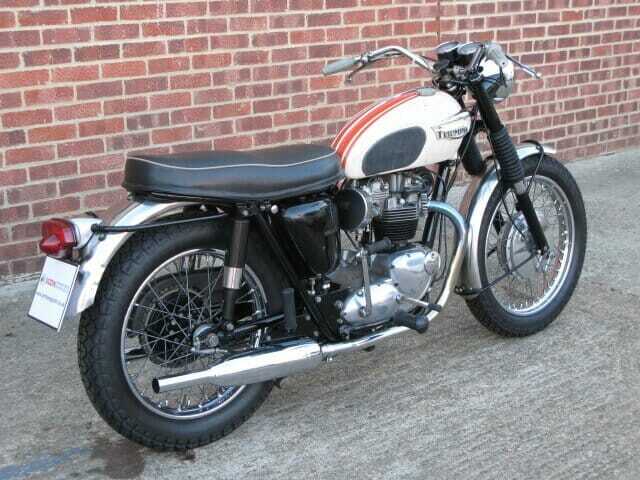 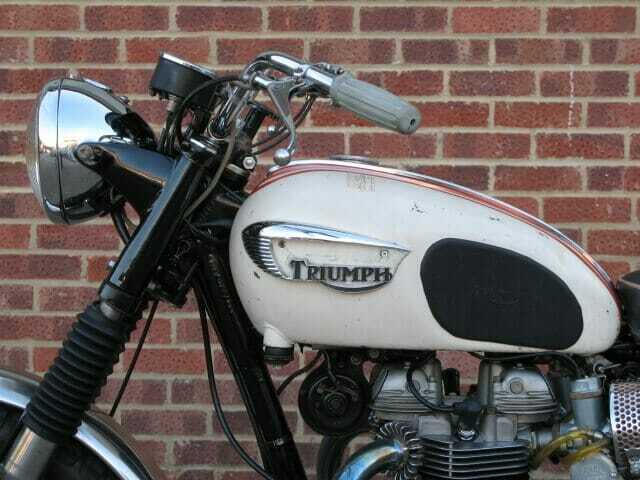 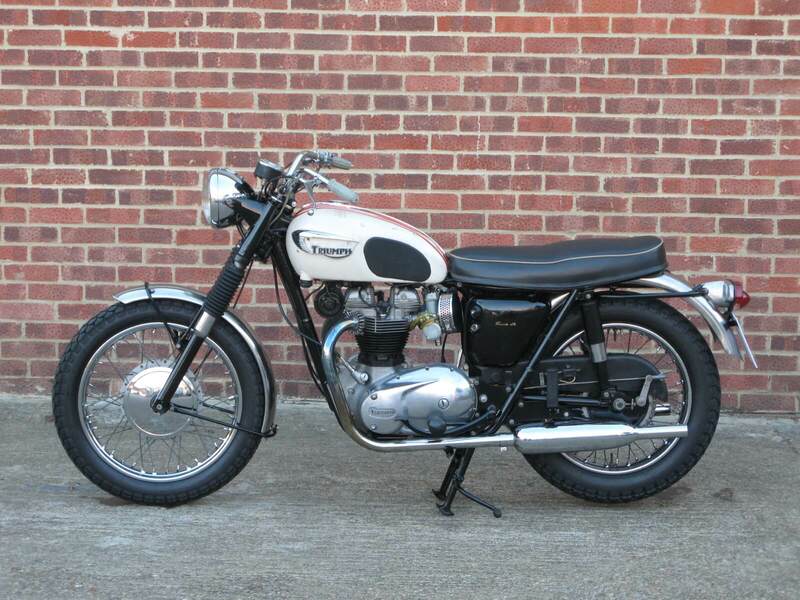 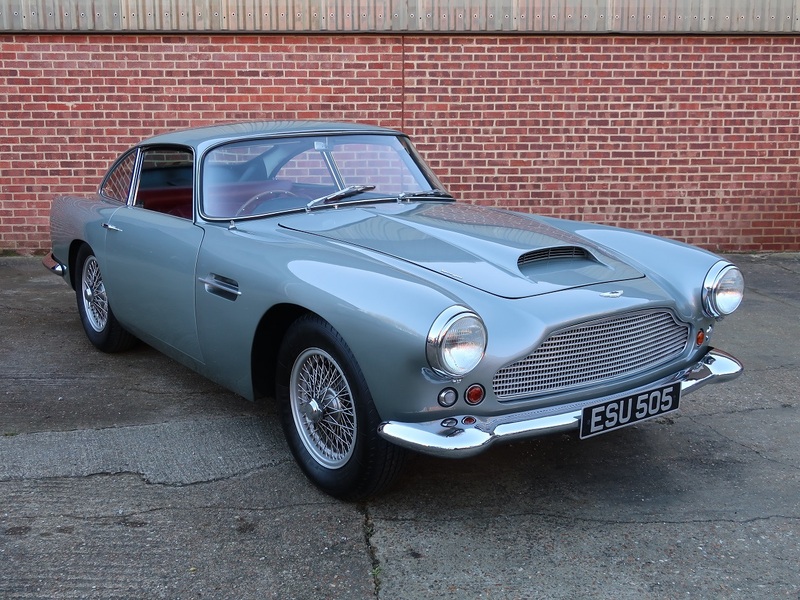 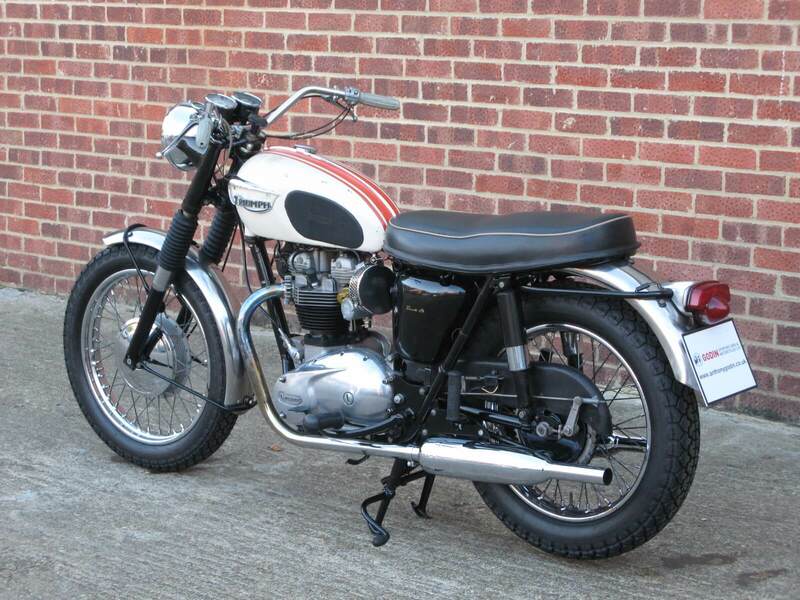 This matching number US spec T120 Bonneville was imported to the UK in 2015, it is reported to have been owned by one family from new before then. 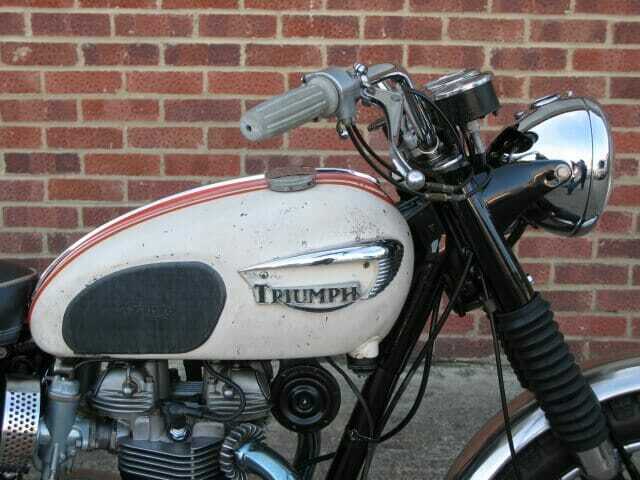 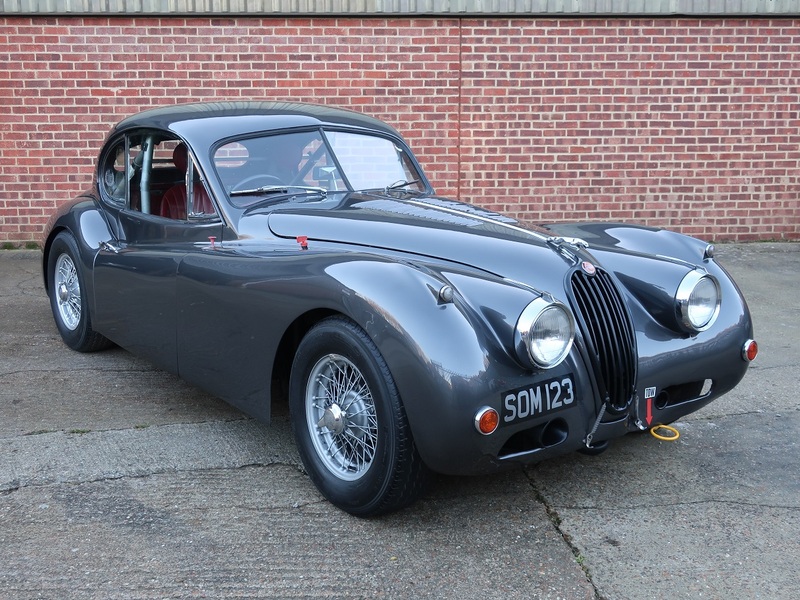 Showing 6,236 miles it remains in very good original condition and in very good running order. 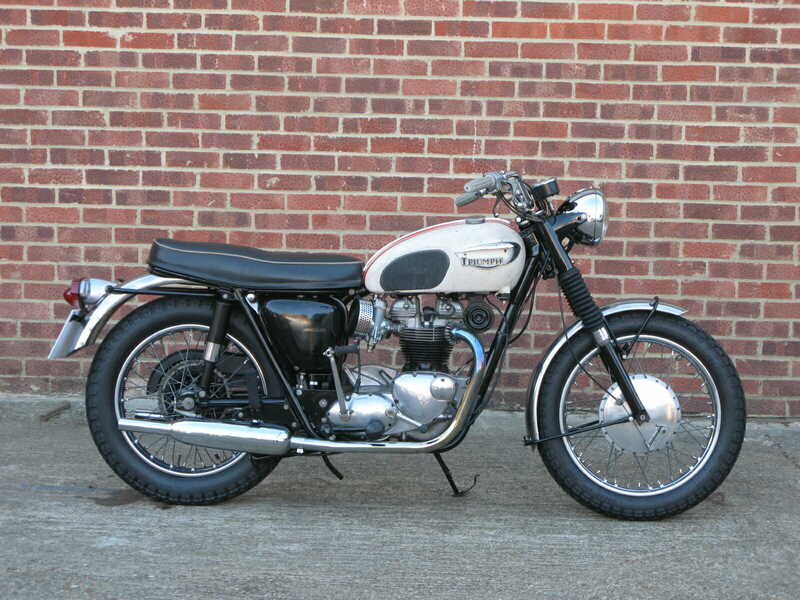 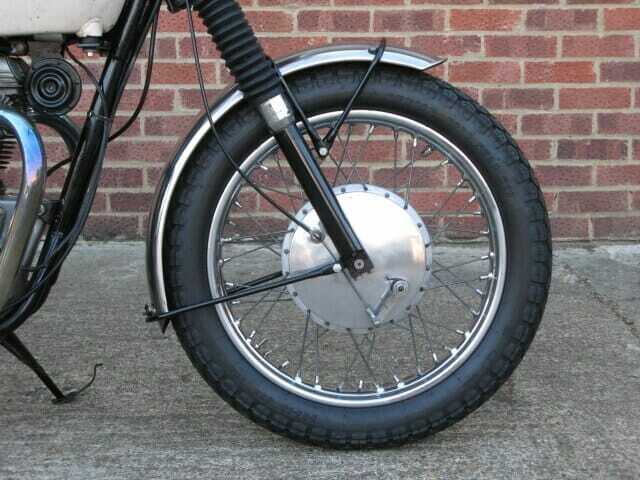 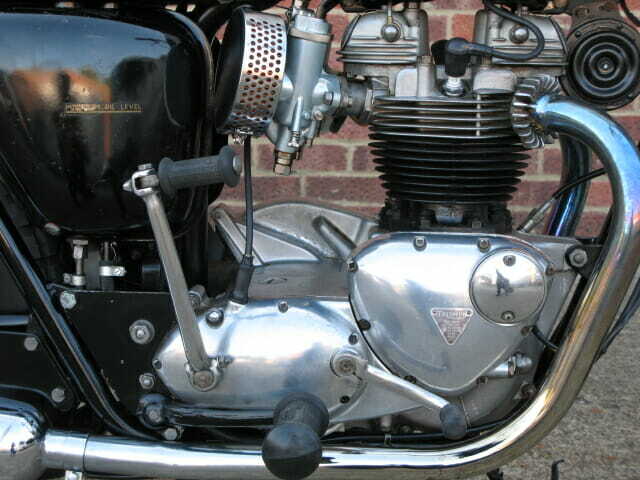 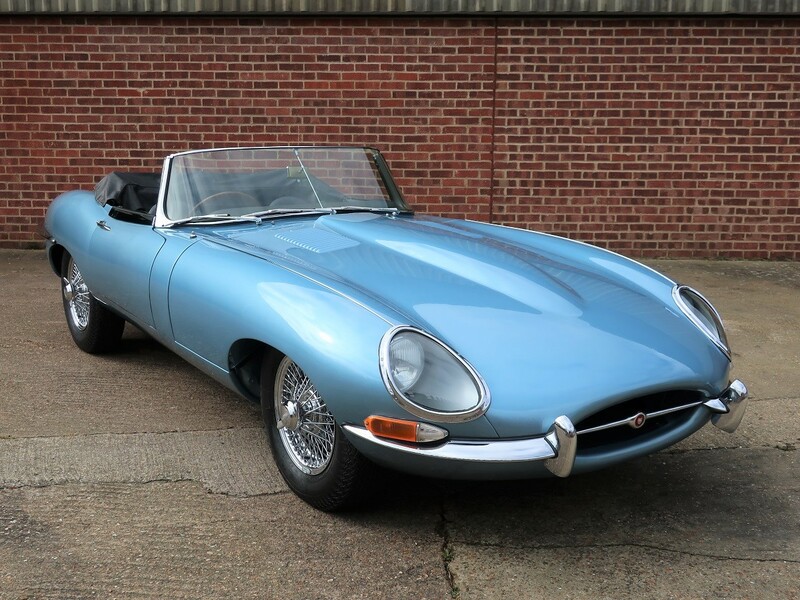 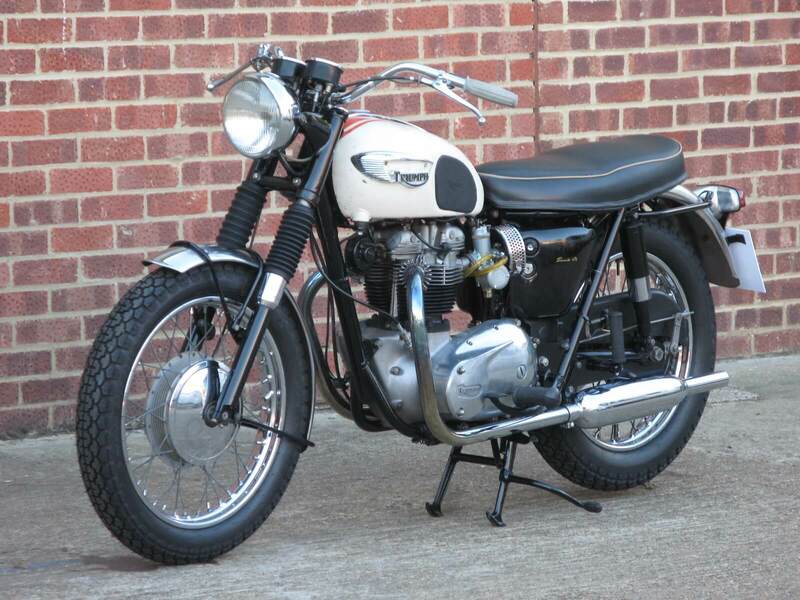 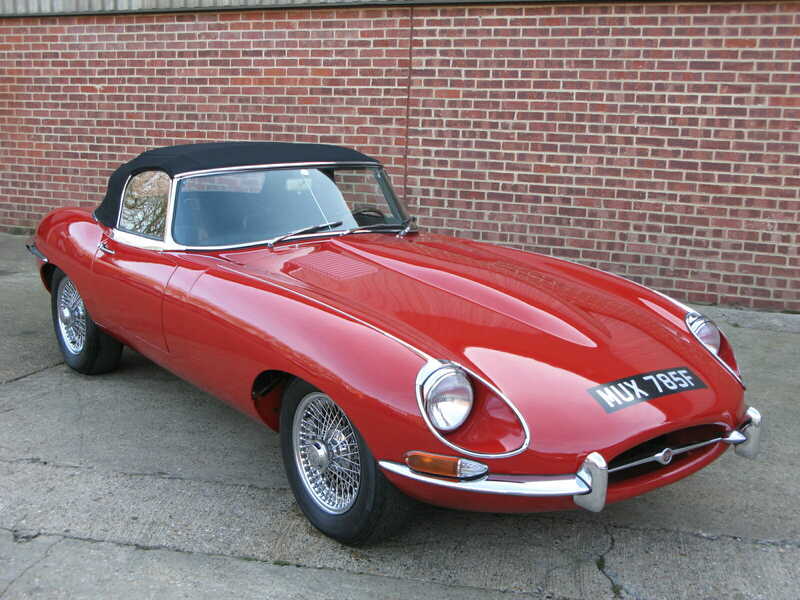 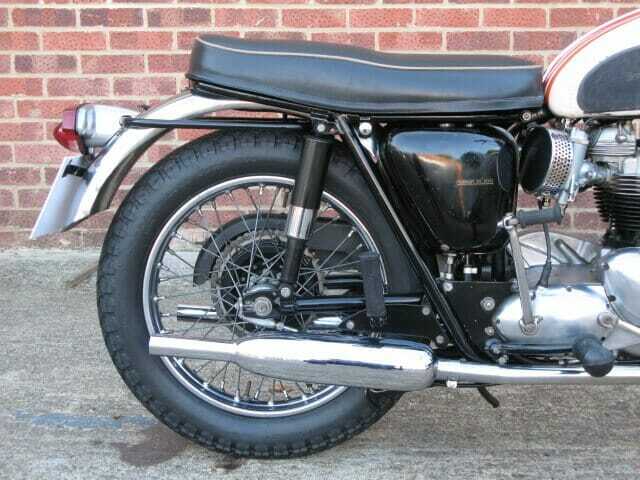 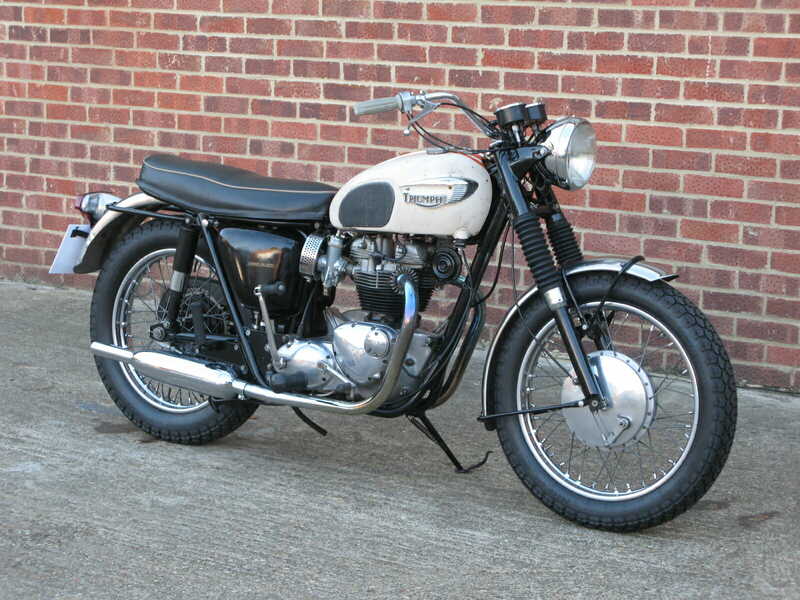 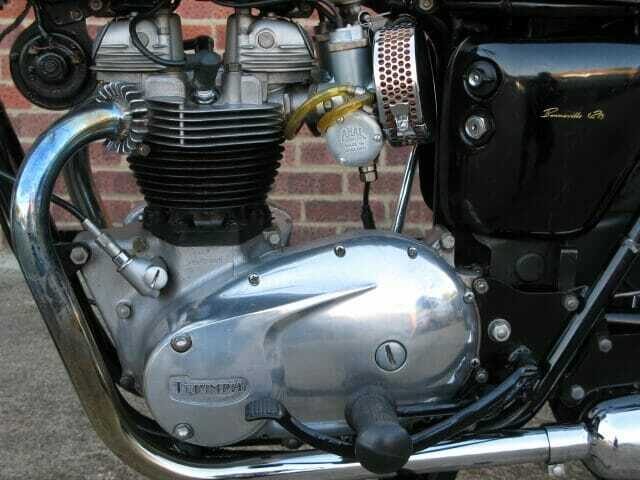 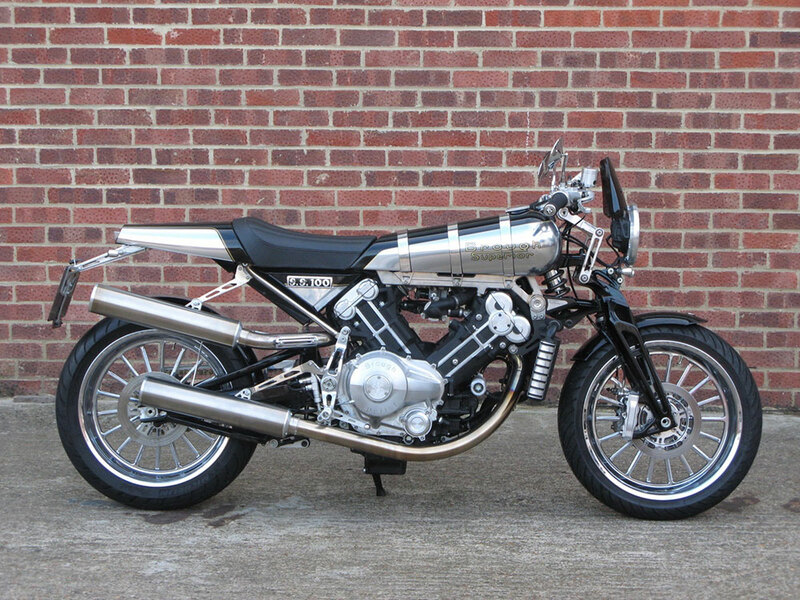 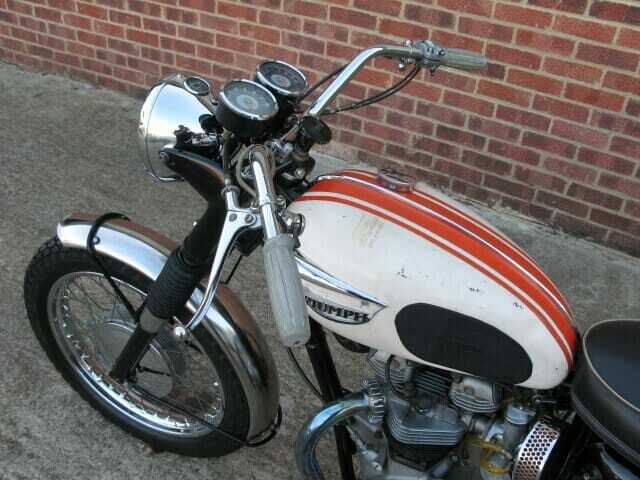 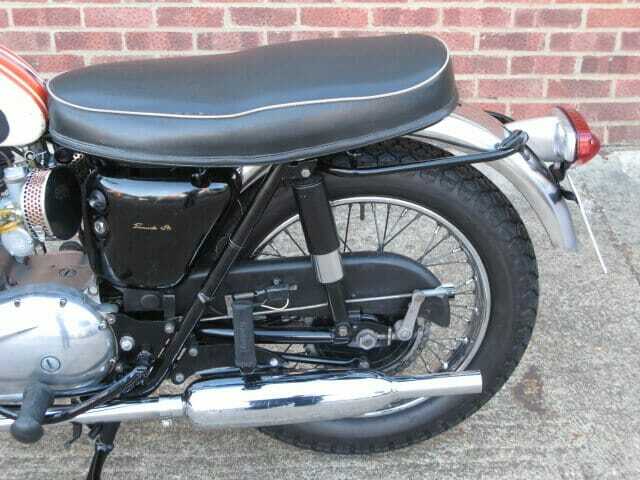 It was recently fitted with new Amal Monobloc carburettors, fuel lines, tyres and battery, and received a full check over by the ‘Motorcycle Restoration Co’ of Saffron Walden, Essex in 2016. 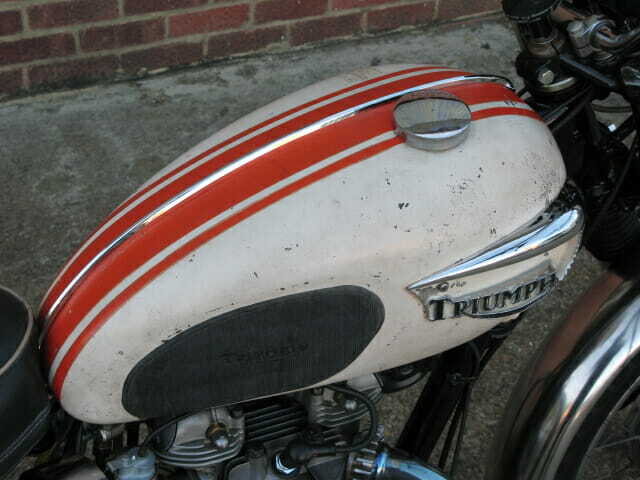 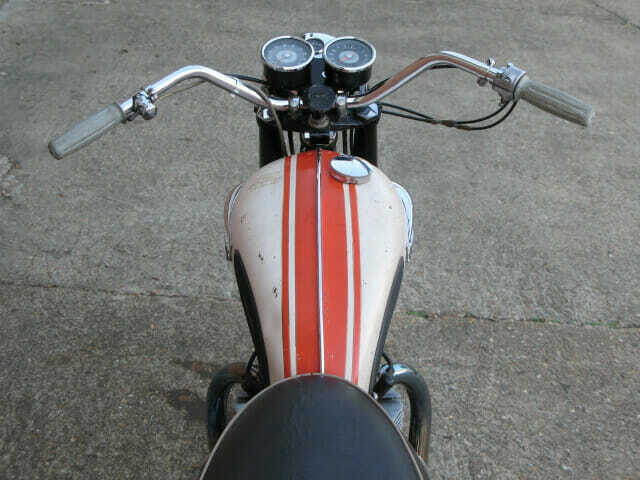 The fuel tank finished in Alaskan white with Grenadier red stripes has an amazing patina to it which really adds to the bikes overall look. 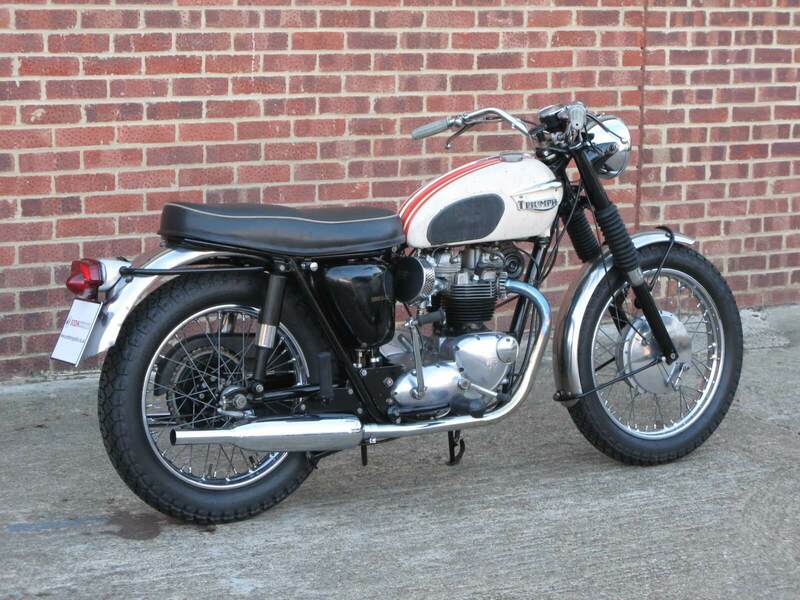 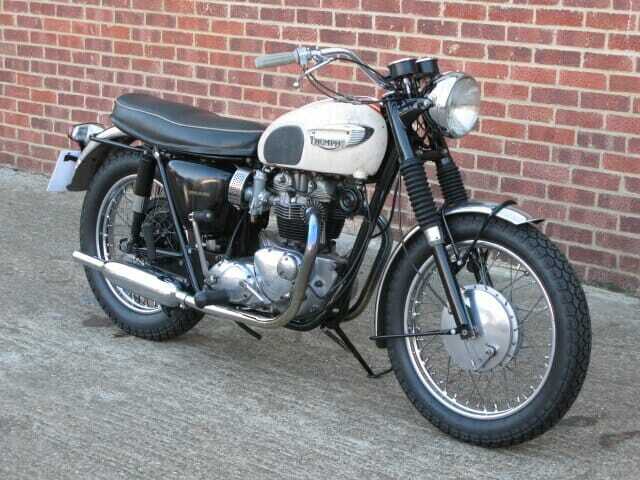 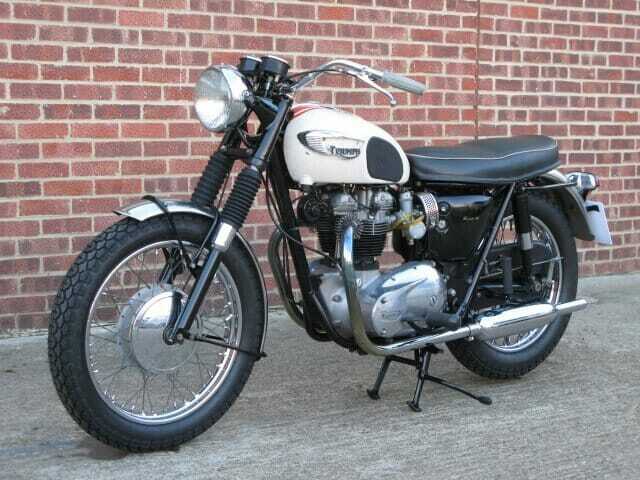 A very fine and well presented example, early Bonneville’s continue to be high on the discerning motorcycle collectors list, this one will not disappoint. 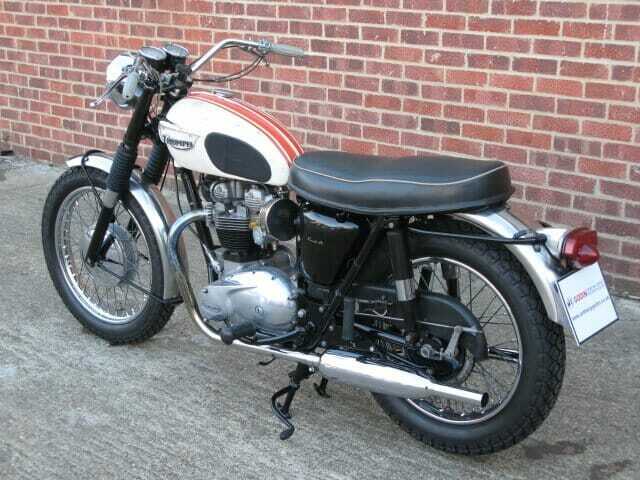 UK registration has been applied for.